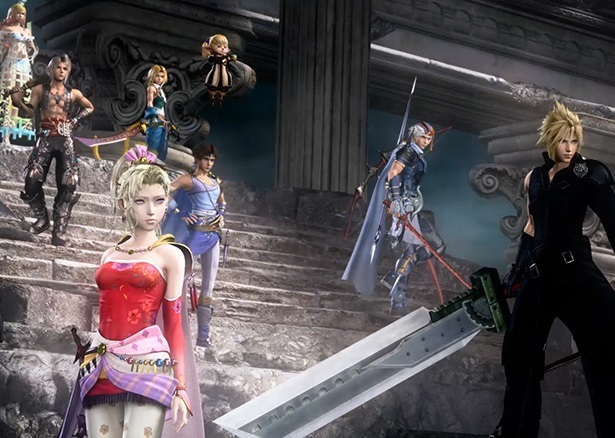 Final Fantasy Dissidia NT is Square Enix's all-star hero mashup from its premiere franchise. Focused on competitive play, its three-a-side brawling, and as per our review from earlier in the year, it's actually quite a lot of fun. In the months since release there has been additional characters added into the roster, and now Square Enix has announced the biggest change to the game to date; there's now a free-to-play version in Japan. This works much like the way MOBAs do. There will be four characters available on a rotating basis, for free, allowing you to get a taste for each of them and what they do in both single player and multiplayer. If you like any of the characters in particular, you can then purchase them to use them indefinitely. It's the ideal way for players to get a taste for the game, and only invest in the characters they are most invested in. Hopefully this helps to keep the online community going strong, because naturally, with a game that is so focused towards having six players in each match, it needs a large number of players to remain viable. There's no word on whether this free-to-play version will be coming out west, but I'd expect that would be the case at some point.